- One Sunday morning the warm sun came up and ______________. - The firefly saw a light and ________________________. - The spider didn't answer. She was __________________________. These sentences came from three of my favorite books by Eric Carle to read aloud to my children. If you can finish the sentences you are probably a big fan of the books too! A great way to celebrate Eric Carle's birthday would be to revisit one of your favorites by reading it aloud to your children or grandchildren. Recently, my youngest son loves for my wife and I to read him Eric Carle's Have You Seen My Cat? In this book, a boy is searching far and wide to find his cat. He asks lots of folks for help but their suggestions lead him to the wrong cats. Finally, right before frustration sets in, the boy receives one last tip regarding the location of his cat. There is quite a surprise for the boy once he sees her. My son makes us laugh when we ask him, "Have you seen my cat?" and he shrugs his shoulders and lifts his hand to show us he doesn't know. 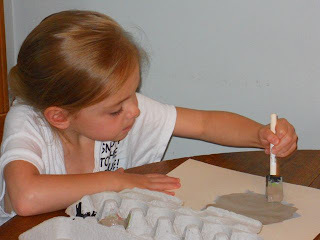 For this year's birthday celebration for Eric Carle my family and I engaged in a writing activity, Copy Change, that I used quite often when I was teaching reluctant writers. 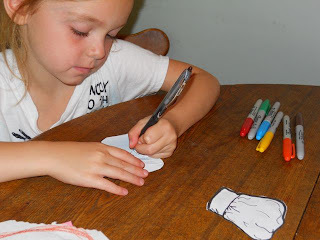 This activity takes existing text and changes some of the words to make something new. When I was teaching I found that reluctant writers loved this activity because it provided a framework for them write, eliminated anxiety with spelling, and allowed them feel good about the finished product. For our activity, I had my two older children Copy Change Have You Seen My Cat? as a gift to their little brother. We copied all the text from the book, except we changed the word "CAT" to "HAT". Changing just one word created a completely new story about a boy searching for his hat. 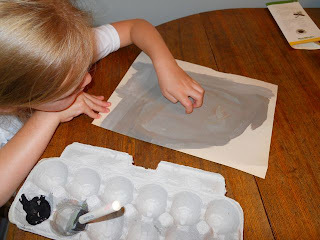 I had quite a few little ideas to make the illustrations fun and my children added the creativity with painting and drawing. Once the story was typed we started working on the illustrations in Eric Carle-style. We painted construction paper with various colors of paint. My children used their fingernails to add texture to the painting. 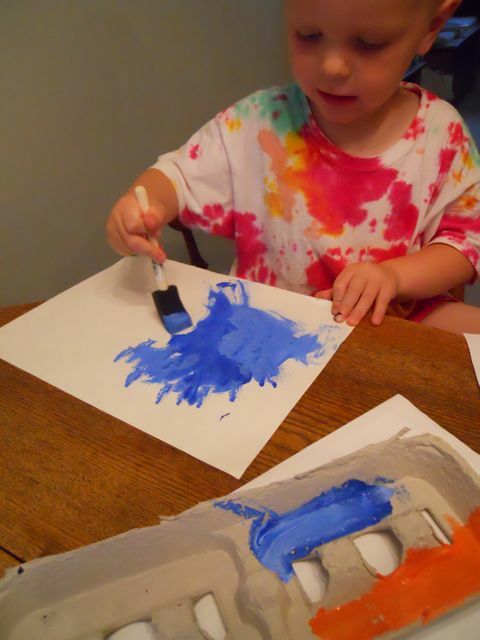 In this picture, my son painted a layer of blue paint on the paper. Then, made a new shade of blue by added white paint to the blue in his mixing container. The new color was added on top in various places to create a different look. All of these painted papers were used to make our collage illustrations. We traced clip art images of hats onto our painted paper. After cutting the shape my daughter added details with pens and markers. Click Here to watch a version without audio. Note: Our youngest loved watching the narrated video. He laughed every time my oldest son said, "Have You Seen My Hat?" His brother and sister were very happy to see him excited about their efforts! 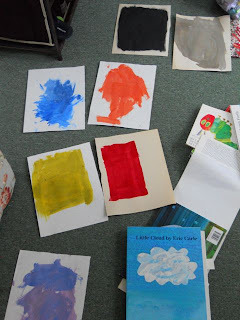 Please check out my Eric Carle birthday celebration post from 2010. We made pancakes after reading Pancakes, Pancakes. There are lots of videos of Eric Carle embedded in the post to watch too! LOVE the video AND the story ... well done! I loved your hat book and video. What a great/fun idea. My little guy enjoyed the video also. We haven't read that Eric Carle book - I'll have to look for it at the library! Thanks for everybody for visiting the blog. We appreciate all the positive comments! Thanks for visiting my blog! I'm following you now! Your blog is a wonderful idea! It's nice to know when author's birthdays are! Hi, thanks for your interest in the literary blog directory. Whilst I love your blog (I'm a new follower), especially as someone who teaches young children, the directory is really for adult fiction. Literary children's fiction definitely does exist, it just needs a different directory! Enjoyed watching the video, thanks for posting.